I like to run, a lot, in New York City and all over the world. When I visit Chicago, I feel like I am at an urban spa. 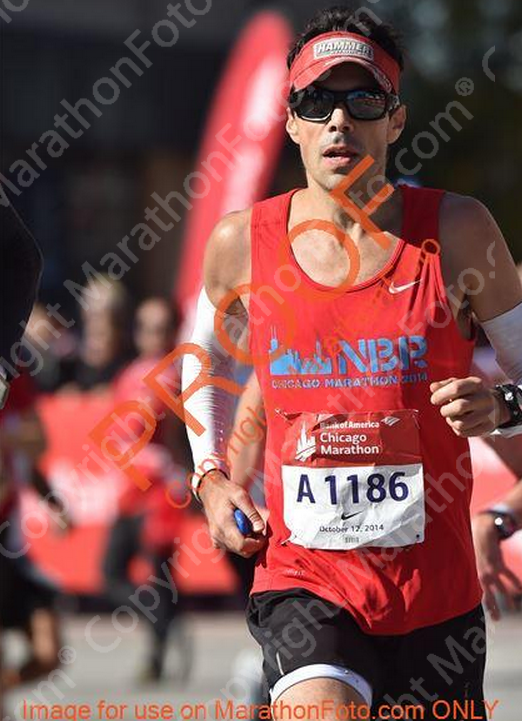 The Windy City is a legitimate metropolis, yet everything seems to function flawlessly, and that includes the marathon. Even though I overslept and was running behind schedule – literally running, as the streets had already been closed down and I wasn’t able to hail a cab until I outdistanced the roadblocks – I still managed to check my non-essential gear and get to the starting corral with enough time for some pre-race strides. The strides were ceremonial more than anything else. Today was my birthday and I vowed to take it easy during the race – at least the first half-marathon – so I could “enjoy” the race. I looked forward to sightseeing along the course and getting some quick hangs with friends who I knew would be spectating. The cool day and flat course made for ideal marathon conditions, and thousands of runners blew past me in the first third of the race. A twinge of FOMO hit me, as I thought I might be missing a golden opportunity to run a personal best, given the conditions, but since I was still recovering from a 24 hour race three weeks earlier, I decided to stick with the chill birthday plan. Between miles 10 and 13, I actually stopped three times to see friends and distribute sweaty hugs and high fives. I even pounded at least $3.00 worth of Kate Maxwell’s $9.00 bullet-proof coffee which she was kind enough to share. 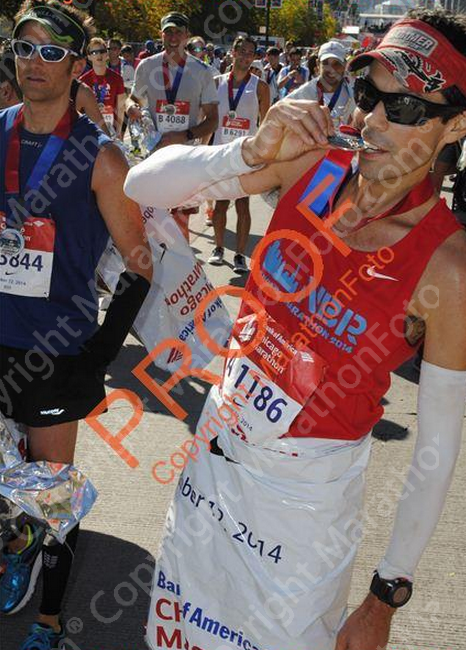 In my morning rush I had missed out on coffee and by mile 12 I was tweaking from caffeine withdrawal. Energized by the jolt of joe, the perfect race conditions and my slowish start, I naturally started picking up my pace after the half-marathon point. After 13.1 miles my leisurely Sunday run shifted into a higher gear. I began “running the tangents” and checking my Garmin for pace updates. My goal was to gradually speed up, while saving my fastest pace for the end of the race. I didn’t know if this was possible, as I had never negative split a marathon, but I was curious to find out. To my astonishment, I actually negative split the second half of the race by 12 minutes, finishing in 3:08:08 and 1683rd overall. My fastest mile split all day was 6:17, which happened to be the last mile of the race. I owe the elusive negative split to a very relaxed start, great race conditions and a consistent nutrition strategy. As usual, I relied on Hammer Nutrition’s Hammer Gels and Endurolytes and popped an Energy Surge six miles from the finish. After the race, for recovery, I gulped down a chocolate Recoverite which I had stashed in the gear check bag and a couple Endurance Amino capsules.